The holidays are supposed to be bursting with joy and everyday miracles shared with family and friends. However, the stresses of time, money and emotional exhaustion coupled with unrealistic expectations can turn the best of us into our worst selves. And, the additional stress hampers our emotional intelligence and decision making abilities during what is often the busiest time of the year for most professionals. Creating a healthy holiday work-life balance is key to reducing your stress so that you can put your best foot forward and enjoy the holidays to the fullest. Here are some ways to improve your holiday work-life balance, so you can make this the most wonderful time of the year. Many of us set ourselves up for disappointment and resentment by going into the holiday season with unrealistic expectations of just how magical and special it will be this year. Acknowledge that there is no perfect Christmas, Chanukah or New Year’s. No one can do everything, but many of us try to do just that during the holidays. With the sheer enormity of events and deadlines this time of year, chances are that something is going to wrong. 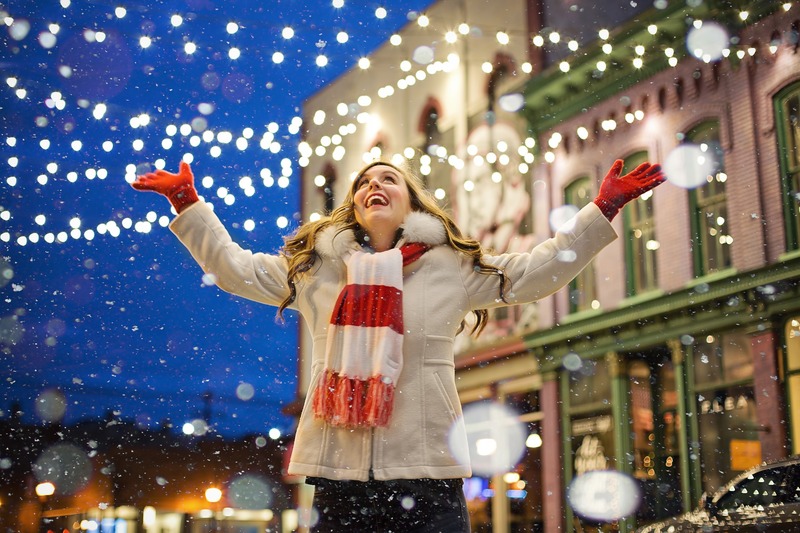 Going into the holiday season with lower expectations can allow you to enjoy yourself more and be more flexible. Set realistic expectations at work and at home what you will and will not be able to accomplish during this season. Accept that there are times you will have to work and times you need to be present with your loved ones which brings us to our second tip. Faced with the daunting task of finishing the year strong at work while meeting social obligations can make holiday work-life balance a real challenge that we tend to address by multitasking. However, emerging research continues to show that multitasking wastes time and helps contribute to higher stress levels. Consequently, you’ll be far more productive and able to enjoy the holidays more if you simply set your mind to focus on the task at hand. Schedule specific days and times to devote only to work and time when you are only focusing on your personal life, resolving not to stray from this schedule. So, when you’re at work, nix the holiday planning and online shopping to focus solely on work tasks. At home, put away your phone and email to focus on maximizing quality time with loved ones. Setting these boundaries will not only allow you to get more done, it will minimize guilt along the way. Scheduling is one of the best ways to ensure a healthy holiday work-life balance. Whether it’s a meeting or holiday party, schedule what is important and abide by that calendar. This means that you have clear expectations of what you need to accomplish each day and week through the end of the year. Also, be sure to schedule contingency time in your day to deal with unexpected developments at work and home. Make sure to schedule any additional time off that you may need as far as possible in advance so that you and your organization can figure out how to meet targets and goals with the actual time you have. Schedule “me time” to regroup and clear your mind. Even just short breaks away from the frenetic pass of the holidays can help you regroup and clear your mind so that you can return to other activities with a fresh mindset and better focus. Prioritize your time. If possible, push calendar items that are not time-sensitive to the beginning of the new year and delegate tasks that don’t necessarily require your involvement. Clarify priorities that are in line with your goals so that you can best determine which tasks serve those priorities and which don’t.